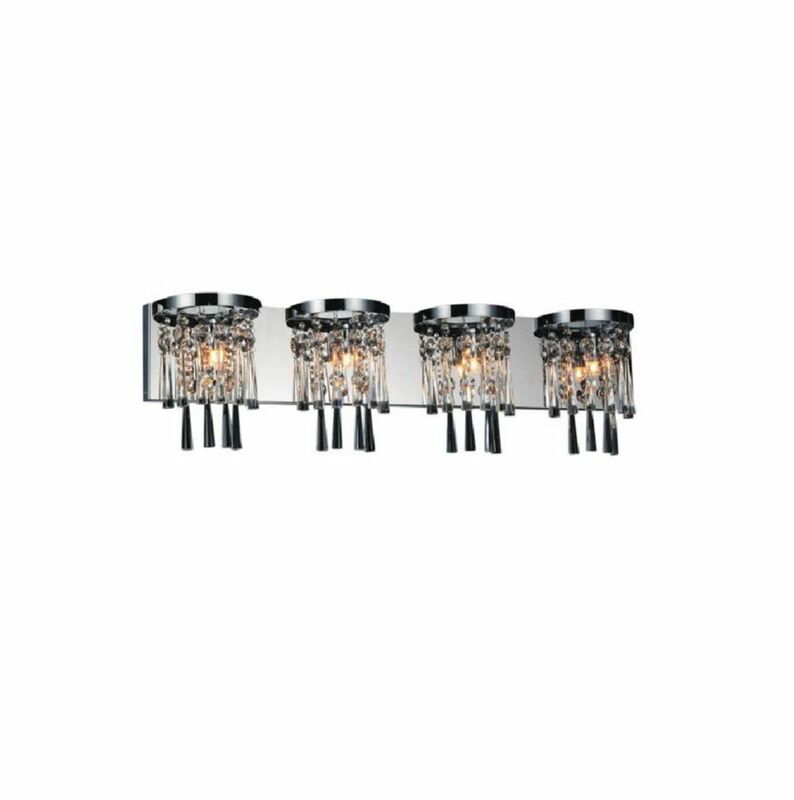 This breathtaking 4 Light Wall Sconce with Chrome Finish is a beautiful piece from our Blissful Collection. With its sophisticated beauty and stunning details, it is sure to add the perfect touch to your dicor. There is no better way to highlight your home with this casual fixture.It features a weathered bronze finish and white alabaster glass.A great addition that will add interest and style. Blissful 32 inch 4 Light Wall Sconce with Chrome Finish This breathtaking 4 Light Wall Sconce with Chrome Finish is a beautiful piece from our Blissful Collection. With its sophisticated beauty and stunning details, it is sure to add the perfect touch to your dicor.